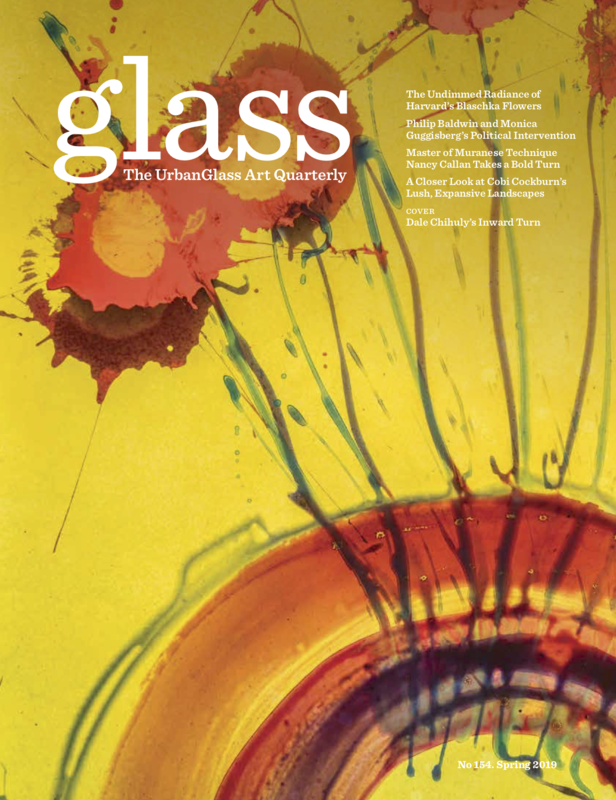 Glass: The UrbanGlass Art Quarterly, a glossy art magazine published four times a year by UrbanGlass has provided a critical context to the most important work being done in the medium of glass for 35 years. Glass Quarterly is your passport to international exhibitions, studio visits, and gallery tours. The magazine’s contributors - museum curators, art historians, and nationally known critics - are your expert guides to this dynamic field. Subscribe today and don’t miss a single issue. The order form can be found at the bottom of this page. All subscriptions will begin with the current issue unless otherwise specified. To start your subscription with an upcoming issue or a back issue, such as our recent Winter 2018-19 issue, please email subscribe@glassquarterly.com. Autorenewing subscriptions do away with the hassles of paperwork, phone calls, and unintended lapses inherent to manually renewed subscriptions. By switching to autorenew, subscribers not only save money each year, but ensure that they receive each issue of the magazine with no additional effort. You will always be notified of the date and rate of your upcoming charge, and may cancel at any time. Have a question about your autorenewing subscription? Contact us here. To purchase a digital subscription, click here. Simply fill out the form at the bottom of this page. To purchase back issues of Glass Quarterly, visit the Back Issues page. Back issue prices reflect the cost per copy, plus shipping within the United States. To purchase a back issue for shipment outside of the United States, please contact subscribe@glassquarterly.com. Glass Quarterly will fulfill missing issue claims made within 1 year of the requested issue's release date (Spring—March 1, Summer—June 1, Fall—September 1, Winter—December 1). Providing that delivery is confirmed through a postal tracking service, no more than one replacement issue will be sent. Damaged issues will be replaced on a case-by-case basis.